Mister Rogers greets several of his neighbors as he walks through his Neighborhood on the way to the television house. Mr. McFeely gives him a box with instructions not to open it until he has reached the house and changed his sweater. Waiting to do so, Mister Rogers finds a new pair of sneakers -- just what he needed -- and a Christmas card from the McFeelys. Thankful for the gift from his friends, Mister Rogers talks about his Christmas wish for viewers: "I've been thinking about what I'd like to give you for Christmas. I'd really like to give you something that just fits your own wishes and needs the way these shoes just fit me. I suppose the thing I'd like most to be able to give you is hope. Hope that through your own doing and your own living with others, you'll be able to find what best fits for you in this life. But this hour of television is something I can give you. And we all hope you'll feel very welcome." After three young carolers sings We Wish You a Merry Christmas outside Mister Rogers' window, he receives a phone call from Mrs. McFeely letting him know that Mr. McFeely will be stopping by. 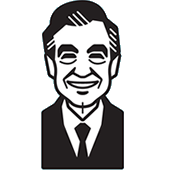 As he waits, Mister Rogers remembers many special people who have visited his Neighborhood over the years. Mr. McFeely stops by on his way to the rehearsal for the holiday get-together. He mentions that Stephanie, a young girl in the Neighborhood who will be performing, is quite disappointed that her family may miss the get-together due to car trouble. Mister Rogers goes with Mr. McFeely to the rehearsal where Stephanie shares her disappointment with Mister Rogers. Francois Clemmons details a recent dream where the members of his traveling choir all lost their voices. In the dream, the choir experiences trouble with their bus as they travel and are helped by the Music Man -- a magical musician who sings Rise Up Shepherds and Follow as Francois Clemmons works on the broken bus. Francois Clemmons is surprised to find that the Music Man is able to provide the children with the ability to play music without any instruments. As they play, Mr. Clemmons sings Silent Night. Stephanie joins Mister Rogers as he returns to his house where they talk about how hard it is to wait for things you are looking forward to. Mrs. Hamilton stops by to borrow some eggs but Mister Rogers does not have enough. After a quick call to Chef Brockett, Mrs. Hamilton is gone as quickly as she has arrived. Stephanie makes up a story about the Music Man helping Mrs. Hamilton find some eggs for her cake after her stubborn hens give her none. Mister Rogers opens a gift from a friend -- a small banner that says "Merry Christmas" on one side and "Happy Chanukah" on the other. Taking out a dreidel, Mister Rogers spends some time talking about Chanukah as he plays and sings the Dreidel Song. In the Neighborhood of Make-Believe, presents are not to be opened until King Friday gives his permission. Lady Elaine shares with Handyman Negri that she is upset that she has received only one present. When Mr. McFeely arrives with several packages to deliver, Lady Aberlin and Handyman Negri offer to help him as Lady Elaine is left with her frustrations. As the presents are delivered, Lady Elaine finds that the others in the Neighborhood have received many more presents than she has. To show her feelings at being slighted, she turns everything in the Neighborhood upside down -- everything except the Music Man who is able to use his magic stick to keep himself right side up. Everything returns to normal when the Music Man gives Lady Elaine an ice skating experience -- a gift that does not need to be wrapped. When King Friday gives the word, presents are allowed to be opened throughout the Neighborhood -- the first being a Christmas decoration for Lady Elaine put together in parts by all of her neighbors. Back at the house, Mister Rogers talks about different families traditions -- Christmas, Chanukah, and those who celebrate neither. He suggests that all presents are a sign of love. Stephanie makes up another story about the Music Man who finds himself in a remote village where a young boy is missing. With the boy's father and sister, the Music Man searches the open land. Climbing to the highest point they can find, they sing My Sheep Were Grazing which is heard by the lost boy. Following the sound of their voices, the boy finds his way home. At the get-together, everyone sings Joy to the World as Stephanie prepares for her performance. She is overjoyed when Stanley Clay arrives with her family. As everyone sings The Friendly Beasts, Stephanie proudly performs her dance on the stage. Returning to the house, Mister Rogers concludes: "I, for one, wish you good memories of this holiday. And I hope you'll be able to look for all the different ways that people have of showing that they love you." This holiday special is one hour in length as opposed to the typical 30 minute Neighborhood episodes. Presents are not allowed to be opened in the Neighborhood of Make-Believe until King Friday says "the word." The word for this holiday season is "Slopperydozafanoondapuck" which (according to King Friday) means "what a difference one person can make." The ice skating Lady Elaine Fairchilde was played by Sherri Heinecke. It is mentioned in this special that the Platypus family is visiting Ana's grandparents in Westwood suggesting that one or both sets of her grandparents are residents of Westwood. It is often believed that the handshake shared between Mister Rogers and Mr. McFeely on the final Neighborhood episode (Episode 1765) was the only such occurance throughout the entire run of Neighborhood programs; however, the opening of Christmastime with Mister Rogers is one example of the contrary. This program was made possible by a grant from The Sears-Roebuck Foundation. © 1977 Family Communications, Inc.